I love this cleanser. It has a beautiful scent and leaves skin feeling soft and hydrated. Would definitely recommend. I've heard a lot of good things about Caudalie and has been eager to try some items out. This cleansing milk smells a bit like after shave (no fan of that smell) and does not remove foundation or other heavier makeup. On the upside it does leave your skyn feeling hydrated and if you don't wear foundation or any other heavier make up it works ok. Will most likely not order again since I want my cleansers to remove my makeup. 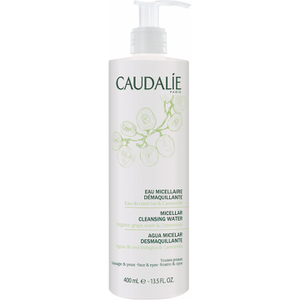 Caudalie Gentle Cleansing Milk is very suitable for different skin type, it is a mild and natural cleaner. I love this Caudalie Gentle Cleansing Milk! It is so gentle and does not leave a film on your skin like other cleansers I have used! To top it all, it smells amazing!